May 16, 2016, 9:30 a.m.
By Shan Wang @shansquared May 16, 2016, 9:30 a.m. 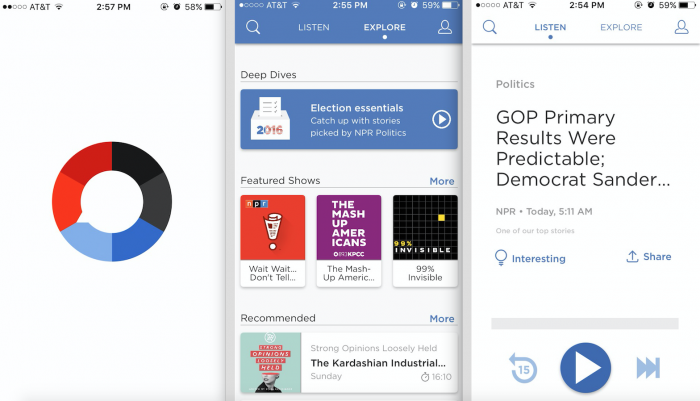 The NPR One app, which represents a way for public radio to reach listeners who might not be listening to terrestrial radio (at least not in any recognizable fashion), has been incorporating more and more local news into its stream. The relationship between local stations and NPR One can be mutually beneficial: the presence of a local newscast is the “single biggest indicator that a user will return to NPR One,” and NPR One can open up local stations to new audiences well beyond their geographic tower areas. 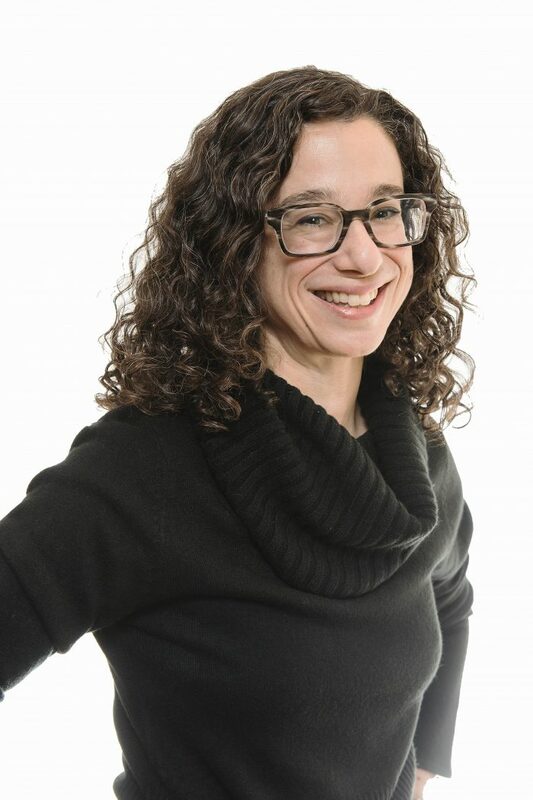 NPR One’s new local editorial lead Tamar Charney, who previously led the newsroom at Michigan Radio, is a few months into the new role and speaks animatedly about the app’s potential to bring different types of “local” stories to audiences beyond NPR’s aging one. “In the old world of radio, radio was based very much upon towers. Towers are very geographically centered. More and more, we’re seeing the concept of local news that isn’t quite as geographically centered,” Charney said. She also shrugged off the mid-March mini-controversy around NPR guidelines that stated NPR One would not be promoted on air (“for now”). The app has seen steady growth (though NPR hasn’t released its total number of users), and users now spend an average of 145 minutes a week listening in the app. I spoke with Charney about how she manages relationships with local stations, what the NPR One team is doing to make sure the app feels more local, and the evolving concept of local journalism in the digital age. Our conversation, slightly edited for length and clarity, is below and also includes an extended hamster analogy. Shan Wang: Your role, day-to-day, sounds super complicated, partly because there are hundreds of member stations you might need to handle, all of them different. What is that like? How do you juggle those relationships? Tamar Charney: Some of that’s still a work in progress, but one of the first things I wanted to do when I started was to reach out and talk to people. So I’ve been trying to call as many stations as possible — to have conversations with them about their hopes, dreams, visions, problems with NPR One, just to get a sense of what stations want to see from it and how they think they can best serve their audiences with it, so that as we work on developing the editorial tools and the philosophy toward local content, it supports the work that stations are doing in their communities. A lot of things are best done by talking to people, rather than webinars or emails. That’s not to say I’m not doing those things, too. I’ve been traveling, I’ve done a couple of presentations, I’ve done a couple of webinars, I’ve been writing blog posts with tips on how to get started and what to put into the system and what we’re learning about local newscasts. But having actual conversations with people is so important, particularly with something that’s this new. Wang: How many stations are you dealing with that could potentially be putting content into NPR One? Charney: There are so many ways to slice this. There are some stations — music stations like WXPN, which doesn’t air Morning Edition — where it just doesn’t make sense for them to participate in NPR One, because they don’t really do news, and it’s a news app. There are potentially 300 or so eligible stations. There are four types of local content people could be putting into NPR One, and some stations do all four. Others make some strategic decisions based on their resources to concentrate one one, two, maybe three of those. There are stations that just put their branding in. There are stations that put in their newscasts. 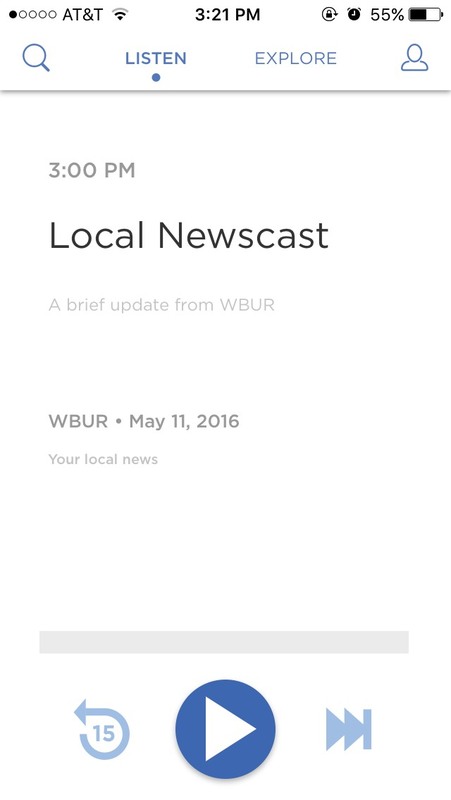 There are stations that have a local podcast but no newscasts. There are stations that put in local feature reports but no newscasts. Some do both. I’ve been trying to figure out how NPR One can best elevate local content, regardless of the strategic decisions a station made. Wang: I imagine that it’s easier for bigger stations to get on board. Have you met with small stations that are hesitant, or that want to participate but don’t have the staff? Charney: There are lot of stations — and I totally get this, I did this too when I was at Michigan Radio — where, when something new pops up, you don’t want to jump on it, because you just don’t have the resources. The analogy I always use is that it’s like adopting a pet: You already have a dog and a cat. If you take a hamster, who’s going to feed the hamster? I think a lot of the smaller stations are like, whoa, we can’t take another pet right now, or, I want to make sure our hamster is really going to fit our lifestyle. So a lot of them are enthusiastic but saying, let’s let some bigger stations test it out. Let’s make sure this really is a platform that NPR is going to move forward with, because it started out as a beta. I think they wanted to make sure that this is for real. I think more stations are realizing that NPR is serious about this. Now they’re curious: What do we feed it? How many times does it need water? What kind of bedding does it like? I’m going to beat this pet analogy to the ground here. How does the hamster fit into our lifestyle? How do we make the workflow work? How is this going to work for our station in a way that’s sustainable and benefits us, and isn’t just an added burden? We’re helping stations understand that maybe there are going to be workflow adjustments, and maybe you’re going to have to put out a little extra food in the morning, but here’s what you get in return: You’re getting a younger audience associating with your brand. You’re getting the email addresses of people who use NPR One. You’re reaching out, potentially, to people outside your geographic tower area. It’s about walking people through all the benefits of being involved and taking this added platform on in a meaningful way. Wang: So this is part of the pitch you’d give to interested stations. Any other benefits you mention? 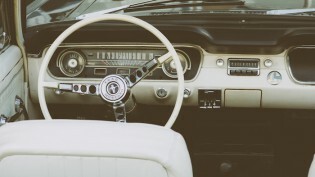 Left on the dial: With young people trading AM/FM for streaming, will radio find a home in your next car? Charney: It’s mainly those things. Most stations are now thinking about their future audience strategy and the business model for it. NPR One was developed as a way to reach out to a new audience that maybe doesn’t own cars, doesn’t have radios. They don’t listen to terrestrial radio like a lot of the baby boomer audience did. How do we get a lot of the content that is appealing to this demographic, as well as other demographics, in front of them, in a platform that works for them, with the control functionality that they’ve been accustomed to like and want — from platforms like Pandora, Spotify, you name it? So it’s really taking the public radio content and putting it into the platform that works well for them. Wang: What are stations’ reservations, some of the challenges they bring up to working with you guys? Charney: A lot of it goes back to what I was saying before: priorities. If you’re a small station, you’re strapped for resources. It’s not like we can just go to the digital person to do it all. But there are some really interesting success stories. KALW put a podcast called the Specialist into NPR One and we promoted it to the national audience instead of just the local audience. It was very good and interesting, and they got enough listenership to the podcast that they were able to sell sponsorships. The old world of radio was based very much upon towers. Towers are very geographically centered. More and more, we’re seeing a concept of local news that isn’t as geographically centered. For example, the podcast We Live Here that St. Louis was doing was very much about post-Ferguson and the issues going on in St. Louis, but those are the same issues happening in a lot of other communities, too. That was another podcast that we ended up promoting nationally, and while it was a local podcast about something very local, it had a different type of relevance. When we looked at the analytics, St. Louis was only the sixteenth market — there were fifteen other markets where people were listening to it. It was a local story that, while it wasn’t national, had these pockets of interest. New tiers of local journalism are developing, with all the local journalism centers, the regional journalism centers, all these station-based collaborations. Then there’s this sense of local topics that are local to a different type of geography, local to a certain type of affinity. You could have a small station in Maine that’s telling a story about the North Woods, and that’s a story that’s going to resonate across parts of Canada all the way out to Minnesota — anywhere people are having that North Woods experience. The NPR One platform, ultimately, could start supporting something like that. It opens up some really interesting opportunities for stations to reach beyond what they see as their traditional audience. And they could possibly get sponsorships for their podcasts that they might not be able to get in their local communities. Wang: On the technical side of things, what’s missing and still needs to be built out? Charney: The system was very much developed around the idea of stations. Now we need to figure out how it can handle consortiums of stations. Here in Michigan, for instance, there are essentially two different consortiums of stations. There’s one where all of the public radio stations in the state are part of a state capitol reporting consortium. Theoretically, all the stations in the consortium should be able to say, I’m a part of the Michigan Public Radio Network, and all the stories produced for the Michigan Public Radio Network will be available to all of those stations. Right now, each station would individually upload each of those stories. Likewise, in the Detroit market, Michigan Radio and WDET are part of the Detroit Journalism Cooperative, which is a CPB-funded regional journalism center. There should be a way to share the content easily between members of the partnerships. There are about a dozen of these across the system, and more and more of them are pooling their resources and looking at the stories that make sense to tell as a collaboration, from a region, or a cohort of stations in communities that share similar issues. I think those are all things that NPR One is perfectly positioned to support, with some tweaks. There’s still a huge place for the stations and local journalism and that structure, but I think it can be disseminated differently. Wang: What about technical developments to make it easier for smaller stations to get their stuff into NPR One? Charney: We’ve had a lot of conversations about what we can do on the backend. For instance, when the system started, everybody had to convert certain types of files into a very specific audio format — an audio format very few of the stations can handle. At the station I used to be at, there was only one guy, our chief engineer, who knew how to turn the files into the right audio format. Any time we needed to change out the message on NPR One, we needed to get somebody to record it. It had to be edited. Then it had to be given to that engineer to be converted. We’re now creating a system to automate all of this — it’s in the final stages of testing now. The system can take in the more standard formats, then convert them to the very specific format the NPR One system needs. Wang: Is there solid infrastructure in place in NPR One around different ways to pledge, do membership drives, and so forth? Charney: All that stuff needs to be tested and worked on. The system definitely has the capacity. The message that I’ve been giving to stations is, we need to figure out how to turn this new audience — because it’s largely a new audience — into donors. It may work exactly the way it does on radio, or it may be that we have to figure out the right messaging to inspire and motivate this audience. That’s something that we’re going to learn how to do as different stations experiment and share what they find. Pledge messaging shows up after about thirty or forty minutes of listening (that’s an estimate). It comes in the flow after a certain number of pieces, and the time can vary based on how long the pieces are and the choices people make. If somebody is skipping a lot, they’re not going to get a pledge message, because obviously they’re not having a great experience. There are some smart things around that. And stations have the ability to reach out to people who use their version of NPR One. Wang: Do you have any examples of stations doing interesting work leveraging those sorts of relationships gained through the app? Charney: Some of the bigger stations have been thinking hard about the best way to encourage the people who are having a good experience with NPR One to become supporters. But it’s new territory. With terrestrial radio, you didn’t know who was listening, so the only way you had to reach people was over the air during pledge times. With NPR One, we do know who a lot of these people are, so there are more techniques at our disposal for gaining support. That’s a new way of thinking about it for people in public radio, because we’d always thought about it as on-air fund drives. NPR One is a different platform and a different technology, and we have to figure out how best to use it to create the revenue we need to continue doing the journalism people value. And when I say we, I don’t necessarily mean NPR, I mean “we” as a public media system. Wang: What do you tell stations about the best content to upload into NPR One? What works well, what doesn’t? Charney: Right now we’re doing a lot to analyze what makes newscasts work in the system. We know they’re very popular with the audience and correlate to increased listening and increased tendency to come back to the app. The person who crunches data for us and I did some analysis to try to figure out what makes a top newscast. A lot of it isn’t surprising. Newscasts can’t be too long; if they go on too long, people start dropping off. They have to sound like they actually belong in NPR One. They can’t sound like they were just grabbed out of Morning Edition. I’m working this week on collecting tips from some of the stations who have newscasts that fared really well: What are our announcers thinking about when they’re recording it, how long did it take, how hard is it to do? Peer-to-peer learning is important, so stations can learn from each other how best to go about this. Wang: What about feature-y pieces? Charney: That’s the next step. I just got the spreadsheet yesterday of all the stories I need to do a content analysis on, so I don’t have that yet. But it’s in the works. Creating more curation abilities for stations over local content is going to be next. Right now there’s not a lot of control. Local stories go in, but it’s not as if stations are saying, hey, this is the first one I want to make sure the audience hears. We’re slowly going to start rolling out some curation tools and testing them as we go. Right now, the newscasts appear at the top of the flow — national, then local. There are certain places where, for feature stories, the algorithm looks for something local. But eventually, I’d like the system to allow stations to put in the stories and give the system a little bit more information about them, like priority, or other factors. Wang: Is any of the content native to NPR One? Charney: A lot of stations are doing newscasts specifically for NPR One. At a bunch of stations, the morning newscaster will set aside a bunch of time, go into the studio, record a special newscast for NPR One, and upload it. Some of the top-performing newscasts are done that way. There are also versions of stories created specifically for NPR One. There may be a series of reports, and those reports might be packaged into one piece — a self-contained unit for NPR One. That’s done nationally, and I’m pretty sure that’s been done locally by stations as well. As for shows that only appear on NPR One, technically, how do you differentiate that from a podcast? There have been some special episodes of NPR podcasts that were released first in NPR One. In terms of an NPR One-only show, I don’t think anybody’s doing that yet, but I hope somebody does it! Photo of Tamar Charney by Doug Coombe, used with permission. POSTED May 16, 2016, 9:30 a.m.
Wang, Shan. 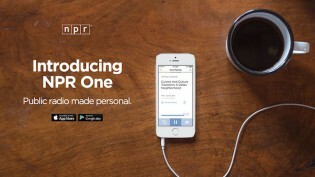 "NPR One is getting serious about the promise of new digital audiences for local journalism." Nieman Journalism Lab. Nieman Foundation for Journalism at Harvard, 16 May. 2016. Web. 23 Apr. 2019. Wang, Shan. 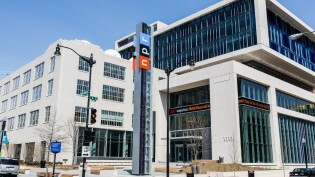 "NPR One is getting serious about the promise of new digital audiences for local journalism." Nieman Journalism Lab. Last modified May 16, 2016. Accessed April 23, 2019. https://www.niemanlab.org/2016/05/npr-one-is-getting-serious-about-the-promise-of-new-digital-audiences-for-local-journalism/.